Talk about understatement. 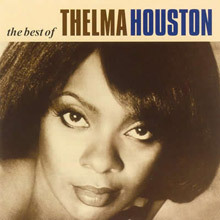 Between 1971, when Thelma signed with Motown Records, and 1976, when her No. 1 smash, 'Don't Leave Me This Way' was released, she had hit the US charts only once. Before that, despite a critically-acclaimed debut LP in 1969, Sunshower, for Dunhill Records, she couldn't catch a sales break. (The album remains well-regarded to this day, showcasing not only Houston's drop-dead vocals and Jimmy Webb's peerless songs and production, but also the extraordinary musicians favoured by Phil Spector, such as Hal Blaine, Larry Knetchel and Joe Osborn.) Mississippi-born Thelma Houston's calling card has always been her versatility – but in 1976, that was a problem. "Everybody in the world had produced her," said Hal Davis, the late Motown studio maestro who finally secured her due, "and nobody could come up with a hit. We needed to bring Thelma home." In cracking the Houston hit-making code with 'Don't Leave Me This Way,' Davis alighted on an LP track first waxed by Harold Melvin & the Blue Notes. He used the same core of musicians as when producing Diana Ross' 'Love Hangover' – at the same studio and, reportedly, on the same night. Both records exploded out of the discos, hungry for diva-fronted tracks with enough length and beats-per-minute to jam the dance floor. 'Don't Leave Me This Way' topped the Billboard Hot 100 and spun its way into charts around the world, forever becoming Houston's signature song. In the minds of most music fans, that's her only hit. But the versatility of Houston's early years served her well after hitting the Hot 100 heights: in 1980, there was another round of fine sessions with Jimmy Webb, and in 1984, that early Jam & Lewis hit, 'You Used To Hold Me So Tight.' There were thespian appearances on TV (Cagney & Lacey) and in movies (Oprah Winfrey's Beloved), and singing slots on tours by Chic and Eric Burdon, among many others. Oh, and Thelma performed with the Sisters of Glory for the Pope in Vatican City. In other words, Houston has seldom had a problem gaining work. She continues to be a go-to girl in concert and on modern media outlets like "American Idol" and "America's Got Talent," while her first Motown album, Thelma Houston, was recently reissued. Moreover, The Best Of Thelma Houston shines with her finest material, including 'Jumpin' Jack Flash' from Sunshower. It's a gas, gas, gas. Motown's The Best of Thelma Houston covers her late-'70s/early-'80s output for the label, including her hit cover of "Don't Leave Me This Way." A few other covers, including "Jumpin' Jack Flash" and "Me and Bobby McGee," hint at Houston's range as an interpreter; originals like "If It's the Last Thing I Do," "I Want to Go Back There Again," and "Stealin' in the Name of the Lord" show her finesse with lush ballads, quintessential Motown, and gospel-inflected pop, respectively. Along with "Don't Leave Me This Way," tracks such as "Saturday Night, Sunday Morning," "Love Machine," and "I'm Here Again" reflect Houston's sophisticated but fiery take on disco. While the Spectrum collection has a slightly grittier edge to it, this compilation does a fine job of showing the breadth and depth of her Motown work. For the first time Motown’s finest have been put together on a 4CD TV advertised album. With 96 of the biggest Motown anthems from some of the biggest names in music including Stevie Wonder, Michael Jackson, Marvin Gaye, Diana Ross, Four Tops, The Jackson 5 and loads more. 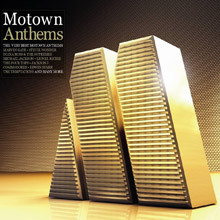 This really is the complete Motown collection on one definitive album. Some amazing tracks on here. 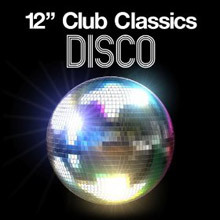 Some really rare mixes: “Love Hangover (12" Version)“ by Diana Ross, “Contact (Extended Mix)“ by Edwin Starr, “I Feel Love (12" Version)“ by Donna Summer, “Take Me Home (12" Version)“ by Cher, “Star Wars Theme/Cantina Band (DJ Promo-Only Version)“ by Meco, “Saturday Night, Sunday Morning (Extended Version)“ by George Benson & Thelma Houston, “Rapper's Delight (Long Version)“ by The Sugarhill Gang, “I Need a Man (12" Version)“ by Grace Jones, “In My House (12 Inch Mix)“ by Mary Jane Girls, “Shake Your Groove Thing (Original 12" Mix)“ by Peaches & Herb, “Let's Get Serious“ by Jermaine Jackson. 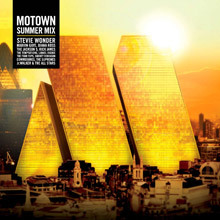 Motown Summer Mix brings together over sixty summer soul classics over three CDs, including "Baby Love" (The Supremes), "Upside Down" (Diana Ross), "Uptight" (Stevie Wonder) and "I Want You Back" (Jackson 5). 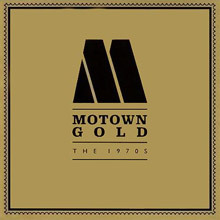 A companion set to the 2001 release which focused on the label's '60s output, Motown Gold - The 1970s is a 3-disc collection of hits from that second great decade, both commercially and creatively, for the most famous record label of all time. Includes some of the most famous tracks from Motown legends such as Stevie Wonder, Diana Ross, Marvin Gaye, The Temptations, Edwin Starr, the Jackson 5, the Commodores and more.70 tracks total.